You are here: Home / Learn SEO for Small Business / How can I rank on the first page? I just did a quick search for “such and such phrase” on Google and my website did not appear on the first page. Is there a way to ensure it does? The search engine Google decides what order the web pages are listing for a particular search. 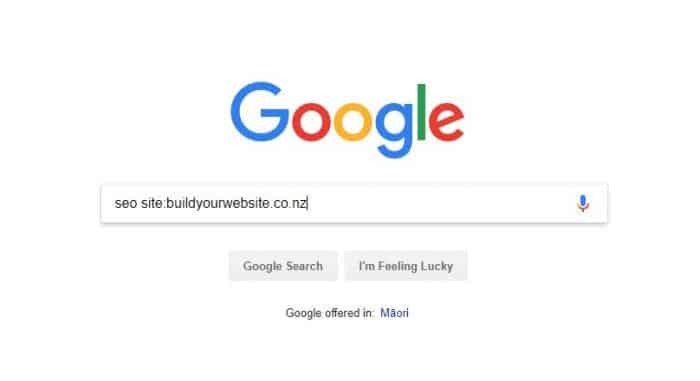 If your website is not ranking for that particular phrase, you can use a discipline called Search Engine Optimisation to improve your ranking for that phrase. I offer basic SEO plans to work with you to do this. There are over 200 ranking factors that Google uses to determine your ranking. However, here are 3 important factors that are worth looking at first. Relevancy: Is the phrase relevant to your website? This will give you a list of all the times the phrase appears on your website and it will also show the page that Google considers is most relevant for that particular phrase. You might not be ranking because you need to add some more content making it clear that this is a phrase that is important to you. Read my article about Your content and Search Engine Optimisation which discusses how important it is to be clear for Google. Google decides how authoritative your website is based on factors like who links to you and your social media profile. Website Authority is especially important in the “Your Money or Your Life” area ie if your website involves investment or medical issues. The authoritative standards are different, they are not just looking for the number of links and their authority but they consider particular links especially important ie from professional organisations. These factors include how long people spend on your website, how many pages people browse and your bounce rate. If people find your website in Google and then read it, then you will rank higher than a website where someone leaves pretty soon after arriving.